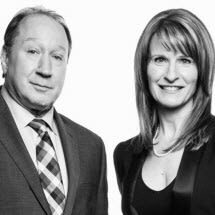 With over 40 years of combined experience, Attorneys Wade Jackman & Patricia Kasody-Coyle have developed a first rate practice that is sharply focused on domestic and family law issues. Jackman & Kasody PLLC handles all kinds of divorces -- from the friendliest, uncontested divorce where they represent one of the parties whose spouse participates without an attorney, to the most serious of divorce circumstances, such as those requiring the termination of parental rights. Jackman & Kasody PLLC is uniquely skilled at distinguishing between a domestic situation that can be resolved quickly and amicably for all parties and a domestic situation that requires aggressive and prompt action. Attorneys Wade Jackman & Patricia Kasody-Coyle use their experience as Michigan Divorce Lawyers to make sure their clients' rights are protected, and all the necessary issues are discussed and resolved while still allowing their clients to maintain control over the outcome of their particular case. Because Jackman & Kasody PLLC concentrates only on domestic issues, the firm has unparalleled experience tackling procedural hurdles in family court and has the relationships required to explore all potential solutions to a large range of family issues. Attorneys Wade Jackman & Patricia Kasody-Coyle understand that strong emotions, positive or negative, often arise during domestic issues, and they can be trusted to provide highly professional legal and emotional support to their clients. In the world of litigation, the key to success is being prepared for the unexpected. Don't be fooled by gender bias firms. Jackman & Kasody represent both men and women which gives them the ability to better anticipate, understand and quickly react to any situation. Don’t let your fear of the legal system or lack of effective representation cause you to lose your children, your house, your retirement or your financial security. Call Jackman & Kasody PLLC today to speak with one of the attorneys about your divorce.